MIDIH has organised the session “Skills development for the digital transformation of the manufacturing industry: the role of DIH” at the DIH Annual Event in Warsaw. Representatives from MIDIH and its predecessor project BEinCPPS discussed with EC and other DIH experts the experiences of MIDIH and its view on the role of the DIHs in the skills development for the digital transformation of the manufacturing industry. 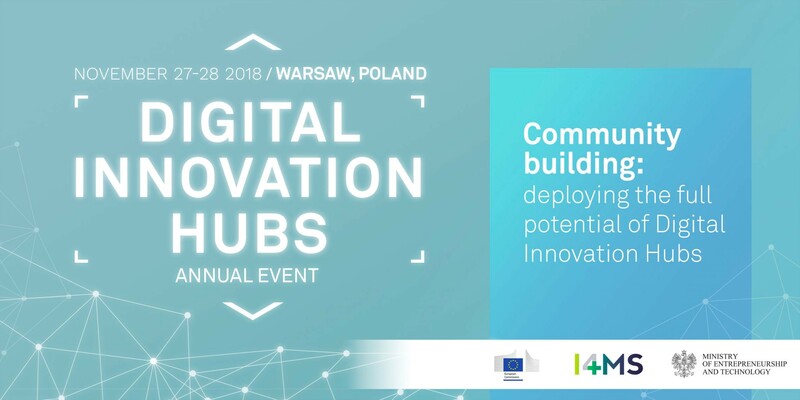 The Digital Innovation Hubs (DIH) Annual Event 2018 (https://ec.europa.eu/digital-single-market/en/news/digital-innovation-hubs-annual-event-2018) took place in Warsaw, co-organised this year by the European Commission, the Department of Innovation at the Polish Ministry of Entrepreneurship and Technology, and the EU funded initiative I4MS. This year’s event aimed at reinforcing the capacity of DIHs to further support European companies in their digital transformation. The event also took place in the context of the preparation for the proposed Digital Europe Programme where Digital Innovation Hubs will play a key role. MIDIH is a project funded by the European Union Framework Programme for Research and Innovation Horizon 2020 under Grant agreement nº 767498.